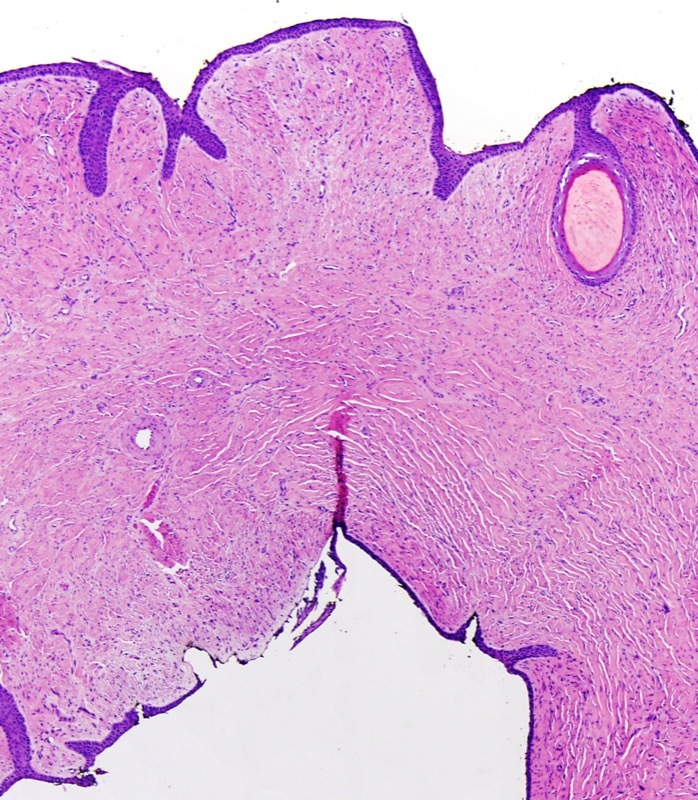 The lesion falls under the general rubric of a CD34 positive subungual fibrocytic lesion with features of a subungual fibroma. 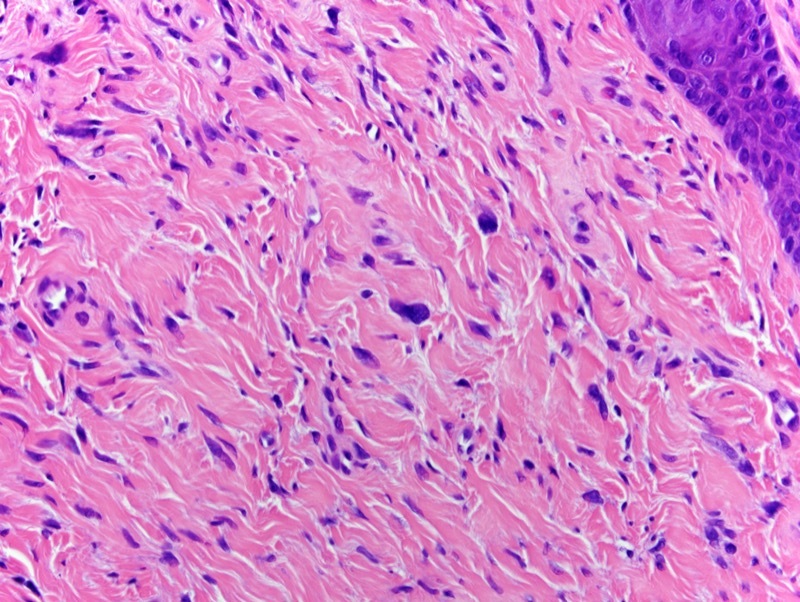 Because of the hyperchromatic stellate cells within the superficial corium it is reasonable to use the designation of pleomorphic fibroma. It is a rare fibroblastic lesion characterized by scattered cells with significant nuclear atypia in a collagenous stroma. 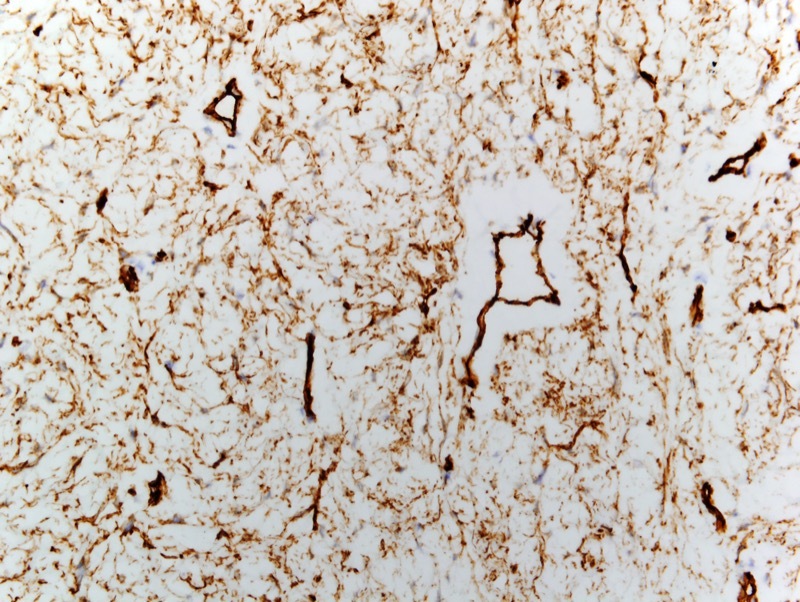 Often the lesions are CD34 positive. The differential diagnosis includes sclerotic fibroma and giant cell collagenoma although those two terms may be used synonymously. 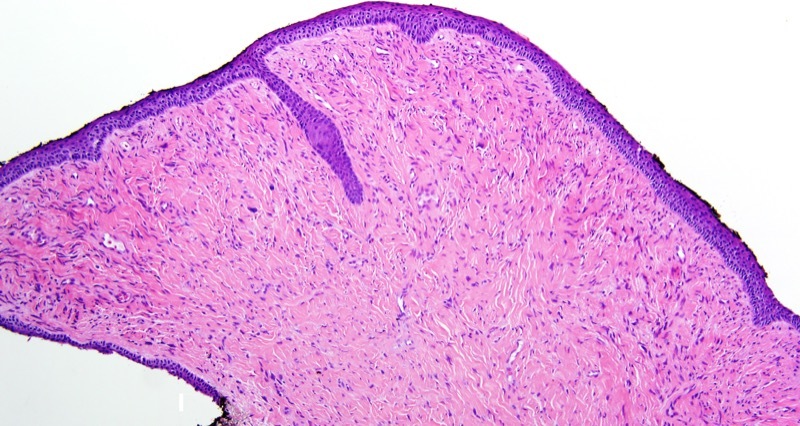 The lesion is lacking in the myxomatous areas that would be typical for a superficial acral fibromyxoma.